They’re appreciated the world over for their affordability and function. We are talking about the two South Korean giants of tyre manufacturing – Hankook and Kumho. Which brand is best for Australian conditions? Let’s take a look. Hankook is best known in motorsports circles for its involvement in the Le Mans touring car series, and while Kumho comes with less of a racing pedigree, it has also secured a glowing reputation for offering good, quality tyres at cheap prices. 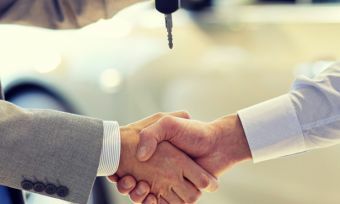 You may also be surprised to know they are both owned by the Nexen Tyre Group, although they operate as separate brands and bring different ranges to the table. The comparison below will compare the tyre range of the most common tyre dimensions in Australia – 205/65/15. The size listed above is a relatively small tyre size commonly found on hatchbacks and small sedans. Wheel diameters are commonly larger, so it pays to crosscheck each brand with your own car’s tyre dimensions. Take a glance at the Hankook website and you’ll see how the brand is trying to be sensitive to consumer needs. Think damage and mileage guarantees, and advertising safety technology. Established in 1941, Hankook is one of the 10 leading tyre manufacturers in the world, with a wide range of options for all vehicles. Keep in mind that larger-diameter tyres fetch higher prices, with equivalent models in the 17” range costing closer to $200 per tyre – those extra couple inches can mean a lot! Overall, while the Hankook range with these sizes is limited, what it does offer seems to be strongly catering to the Australian market at a fairly cheap price point… if you have a 15” wheel size anyway. Sometimes, less proves to be more and Hankook tends to ride the line between price and performance. A smaller brand than Hankook, Kumho seems to be punching above its weight in the world of car tyre manufacturing, but it’s more than holding its own. A visit to its website presents a litany of tyre awards, as well as mileage guarantees and a comprehensive ‘News’ blog-style section that features driving and tyre safety tips, too. Also featured is its green initiative which vows to plant a tree for each set of tyres purchased, as well as its contributions to the McGrath Breast Cancer foundation. Getting back to the tyres, though, and Kumho has the following options for the average Aussie vehicle. Be aware that low noise and economy tyres often sacrifice handling and gripping characteristics, which is reflected in the price. 17” tyres and above commonly cost over $100 per tyre, so to get the cheapest deals you’ll usually need to have a smaller tyre diameter! On the other hand, Kumho’s KH17 is a popular tyre for cruising and performance at an entry-level price. Hankook Vs Kumho: What tyre should I pick? While both manufacturers offer a promising introduction to their business model – socially aware, consumer-oriented – in reality their range for the average Aussie consumer leaves a little to be desired. Both tyre brands’ ranges fail to stack up to the bigger brands such as Michelin and Pirelli in terms of models available in popular sizes. Both brands have very cheap entry-level tyres but consider if they are right for your vehicle; your vehicle may be a performance car with 18” wheels, which can see the cost of your tyres skyrocket. At the end of the day, it’s up to you and your own individual tyre needs to assess which brand is better. Both are responsible brands and both are generally priced at a point that most shoppers will be happy with. The best action is to shop around with your car’s tyre size in mind – whether that’s a 13” tyre or a 24” one.